This smart accessory was announced six weeks ago and shipments were expected to begin next week. 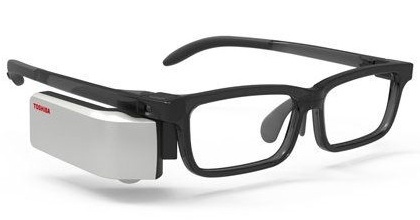 Back in January, Toshiba introduced the WearVue smart glasses and promised availability would start on February 29th. Unfortunately, something went very wrong, because this product was simply canceled earlier this week. However, this does not come as a surprise, since Toshiba has been struggling for a while and they recently dropped some non-essential businesses, cutting thousands of jobs in the process as well. Toshiba WearVue TG-01 was aimed at factory and warehouse employees who had to check information while keeping their hands free, able to continue their work as well. According to a Toshiba spokesperson, "Because the glasses-type device had gained great interest, including among the media, we wanted to consider until the very last minute" but they finally decided to drop this product and focus on other projects. Earlier this month, Toshiba announced the biggest annual loss in its 140-year history. Back in early February, the company canceled a higher-end smart wearable as well. Unfortunately, Toshiba's medical-system business in charge of X-ray machines and various medical scanners is now up for sale.